Every spring I say the same thing: poison ivy is NOT going to get me this year! And every year it still happens. I get a small spot of poison ivy oil on me and before long, it takes on a life of its own. Last year I had it so bad that my entire left leg looked like it had been burned in a fire. I’m not one to visit the doctor unless it’s really bad, so I started looking for natural options. Note: Keep in mind that the rash is NOT contagious! The rash is derived from urushiol oil secreted from poison ivy, oak, and sumac. It is not contagious but urushiol oil can be spread if not removed by washing. Remove the urushiol oil and you eliminate the spreading of the rash. If the rash appears to have spread awhile after you’ve removed the oils it’s either a delayed reaction to oil that was already there, or because you didn’t completely rid all the oil from your body, clothing, or other items that came into contact with the oil. Cold coffee: Coffee has a substance known as chlorogenic acid, which is an anti-inflammatory. It can help keep the swelling down. Apply cold coffee with a cotton ball and throw it away when you are done. The oil from the poison ivy can cling to the cotton and spread. Ocean Water: Ocean water is about 3.5% salt. Salt can help speed healing by drying out the wound. If you don’t have an ocean nearby, dissolve 1 ounce of sea salt in a quart of water. To use the water, dip a cotton ball in it and wipe on the wound. Allow it to dry. You can also put some on a bandage and apply that to the wound. Leave this on for the day, while you are at school or work, or at night while you are sleeping. At the end of the day or the next morning, rinse and reapply if necessary. Rhubarb Stem: Use the stem juice near the roots. It’s not known what substance works to help heal the poison ivy rash, but old timers swear by it. And after trying it last year, I can also attest to it. Apply like most other treatments, with a cotton ball dipped into the juice. Cashews and pistachios: This one threw me, until I remembered the family that poison ivy comes from. This family includes tomatoes, mangoes, deadly nightshade, pistachios and cashews. They all contain the substance urushiol, which is the oil that causes poison ivy rash. It is possible that eating cashews and pistachios could give you some limited immunity. Aspirin: Grind up aspirin and make into a paste with a small amount of water. Place this paste on the wound and allow to dry. The salicylic acid can help to speed healing. Dish soap: The very first thing you should do if you think you’ve come in contact with poison ivy, oak or sumac is to wash with a grease cutting dish soap. 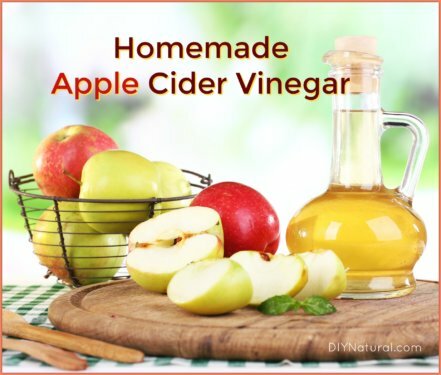 This can be made at home by adding a few tablespoons of lemon juice to any bottle of liquid soap, or by making your own homemade cleaning soap that’s formulated specifically to cut grease. Grease cutting soap will break down the oils in urushiol. Wash your clothing: It may have come in contact with the oils. It will spread on the fabric if not washed out. Wash everything else: Wash any garden tools you may have used, shoes, gloves and even your pet. Dogs and cats can carry the oils on their fur and not be affected by it, but if it gets on you, it could. Don’t scratch: Poison ivy rash can itch terribly, but try to resist the urge to scratch. This can leave raw, open wounds that are more prone to infections. Don’t pop the blisters: For the same reason. Your skin may get weepy and get fluid filled blisters, but don’t be tempted to empty them. Oatmeal: Make yourself a colloidal oatmeal bath. You can use ready-made baths that are available at most stores, or just finely grind oatmeal and put this in your bath. Oatmeal is soothing and comforting on your skin. Baking soda bath: Dissolve a cup of baking soda in your bath to draw out toxins. Baking soda paste: Put ¼ cup of baking soda in a small bowl and add a few drops of water at a time until a paste forms. Apply this to the wound and allow to dry. It will draw out toxins the same way as the bath. Cool compress: Apply a cool cloth to the area to help sooth the over-stimulated nerve endings. Cucumbers: Make a paste from cucumbers and apply for a soothing effect. Lemon Juice: Lemon juice will also help to break up the oils. A few things I did not mention on this list are aloe vera and honey. While both of these will help heal, both are humectants. They will pull moisture out of the air and attach it to whatever they are applied to. You don’t want to add moisture to something you’re trying to dry out. 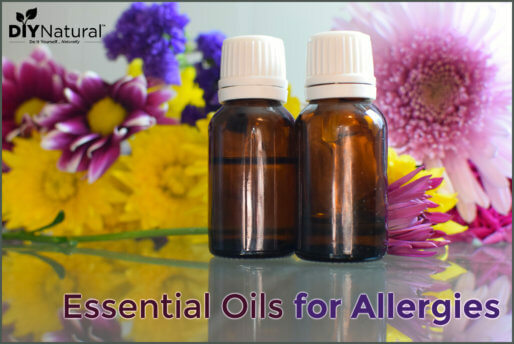 However, at the end of the rash, after the weepy stage has passed, you can use either of these to help with continued healing. 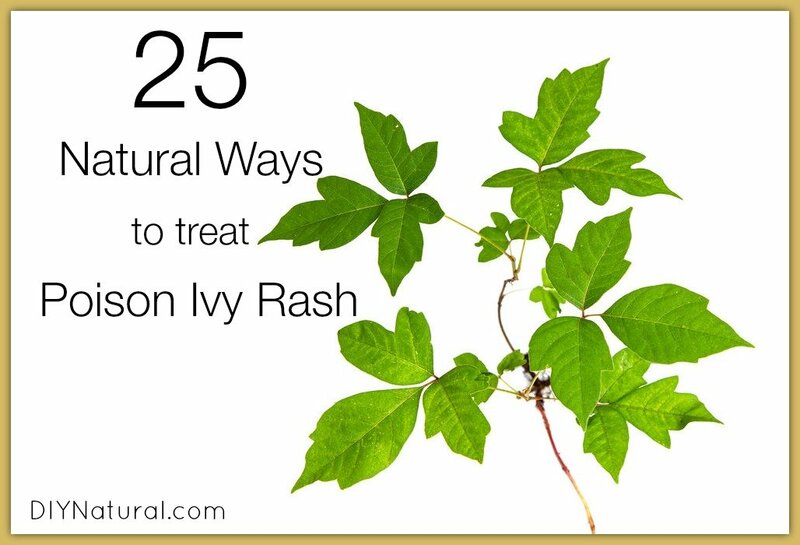 Have you tried a natural treatment for poison ivy rash? Share your methods that have worked! Yet another thing is that when looking for a good online electronics retail outlet, look for online shops that are frequently updated, maintaining up-to-date with the most current products, the very best deals, as well as helpful information on services. This will make sure that you are handling a shop that really stays ahead of the competition and gives you what you ought to make intelligent, well-informed electronics buying. Thanks for the vital tips I’ve learned from the blog. I occasionally trim poison ivy that grows over from a neighboring property and I learned about jewelweed as a child growing up in the 1970’s. I used to drive to the woods afterward to rub jewelweed on my skin when needed but several years ago I planted jewelweed in a wild part of my backyard. I don’t mind that it invades the grass because it creates a nice layer of orange flowers throughout the summer. If I touch poison ivy, I harvest a jewelweed plant above the root within an hour, slice open the juicy stem and rub it on the skin like soap. This chemically neutralizes poison ivy to prevent a rash. Jewelweed grows in low lying wooded areas so it is usually easy to find if you touch poison ivy while hiking in an unfamiliar area. I’ve just had a bout with poison ivy. I used homeopathic tablets which took away itching for a while. This week I used Bentonite clay in suspension. Almost a miracle. It dried up the rash and controlled the itching for hours and hours. Thank you for the discussion. Here in NH the old time farmers used sweet-fern. It grows everywhere here, & near poison ivy patches. I got it all over my body once & the only thing that brought relief, was the sweet-fern poultices. It was so bad I had to stay immobile, all I could do was lay in bed with my legs, arms, chest, & face coated with the sweet-fern poultice. This was back in the 1970’s before internet, but also Dr. approved. Sting it with stinging nettle. This has worked for me many times. There is an herb called “Cleavers “ taken orally clears mine up in a day or so. If you take it late winter late summer it will help build an immunity. This query is based on science of OIL loving OIL. I have not been allergic to poison Ivy my whole life. In my thirties I was helping a friend pull poison ivy in the late fall. The foliage had dried up and we were pulling it by the roots. Not thinking the oil was drained down in the roots concentrated in storage till next Spring & highly concentrated in the roots we were pulling. 2 days later I was a mess. Both arms a runny bubbly rash & my face was so swollen my eyes were slits, my nose was just 2 holes no protrusion for the nose, and my mouth just a slit & I just sipped Carnation Breakfast & Slim Fast for 3 days through a straw. My doctor gave me some sort of antihistamine tablet & the only other thing I put on the poison ivy was Sweet Fern, which we have masses of here. I was told to stay quiet, and I just laid in bed (watching TV) with poultice of sweet fern on my arms, face, & neck down a little on my upper chest. In a big pot I simmered the sweet fern to limp it & I was draped in the soggy weeds 24 hours a day. I also drank the juice as a tea to work from the inside out. This is an old natural remedy around here for sunburn, poison weed rashes, and other skin inflammations. I pulled the ivy on Sunday, forced to leave work early on Tuesday with the rash. On Saturday my face which only swelled, no oozing rash like the rest of the affected skin, was totally normal. I was told by the Doctor there are three ways poison ivy can affected human skin & I had 2, one on my swollen face & the oozing bubbly rash on the rest of the affected skin. I went back to work Monday with hardly any signs of rash. Sweet fern, you can Google it, was a miracle worker for me. After that I would get a slight, very slight rash between my fingers, that cleared up 2 day later, if I messed with poison ivy. Now I am not bothered with with it at all. What a miserable mess I was, and sweet fern was my hero. I have a friend whose cat is always getting into poison ivy and while she forgets that sometimes, she has already held him., and she gets it very bad. Mugwort grows next to poison ivy and she collects the leaves, boils them and uses it on the poison ivy/oak,, she says it works good, and better if you catch it right away. I was told that the antidote to any poisoned plant can be found growing next to it. Funny you should say that, Judy Ann, I just started using mugwort! It seems I have a lot in my back yard and there is a lot that has naturalized around here, so I can find it nearly anywhere. I use that in my poison ivy remedy too. I USED JEWELWEED ON A FRIEND WHO DOES TREE WORK AND GOT POISON IVY BAD… HIS EYES SWELLED UP FACE ARMS LEGS. I HEARD ABOUT JEWELWEED WHEN I WORKED AT A HEALTH FOOD STORE. HE WOULDN’S GO TO THE DOCTOR AND I WAS WORRIED. I GOT SOME JEWELWEED AND APPLIED IT ALL OVER THE IVY, AND CLEARED IT UP. Yep, Rosie, jewelweed will always be my first go to. I know I would have ended up in the hospital a few years ago if I hadn’t used it. I am EXTREMELY allergic to poison ivy type plants. I used to get it badly just being outside and not touching the plant. Several years ago, I read about a wonder cure…rubbing the inside of a banana peel on the affected area. My poison rash healed up overnight. I used it several times the next few summers and so far this year have not gotten any poison rash. But as good as it works on me, my sister says it did not work on her. So I’m not sure what the differences were. My sister does not usually follow thru on things very well so maybe that was it, OR maybe it depends on your own blood make-up or something. I don’t know but I use it every time I break out and it always seems to do a great job. I’m not sure of the exact compound that may be working in the banana peel, Rob, but it may be the malic acid. I’ll have to do some research on it. Thanks for the tip! Read old mountain man claimed green peel of the banana works. Ripe ones don’t. I make my own rosemary soap. I wash with it when I have been exposed or think I have been exposed. I also take a detox bath and then use a mixture of lavender, tea tree and peppermint oils for healing and to stop the itch. Usually dries up the poison ivy and never itches. I use rosemary a lot Donna, but haven’t for poison ivy. I’ll have to give it a try. Thanks! My son ‘s rash was once so bad the welts were weeping down his legs non stop. I looked online and found an easy recipe for making a tea with white yarrow. Once cooled we soaked clean clothes in the tea and applied them to his legs and sat for about 15 minutes. It really helped soothe his legs and seemed to dry the rash out. Yarrow is one of the herbs I use in my poison ivy remedy, Sue. I can’t remember if I mentioned it above. It’s astringent, so helps with skin related problems. And the white grows wild around here! My go-to thing for poison ivy is Jewelweed – it’s amazing! I seem to get poison ivy worse and worse every time I get it, and I’ve been amazed at how wonderful jewelweed is with it’s natural anti-itch and cortisone-type properties. Look it up online then go find some – it likes shady moist spots. It’s incredible! Sounds like a good excuse to go to the beach and soothe with salt water! I also agree with tea tree oil. It’s great for bug bites too. I’ve never had poison ivy but I read that briskly rubbing burdock or plantain leaves on the site for a few minutes brings relief. I’ve used both of these for insect bites/stings and nettle stings on myself and my kids with great results. Rubbing alcohol dries it right up.its gone in 24 hrs. As soon as I realized I touched it I got out my lotion of thieves oil and aloe vera. It was all I had. I never got any irritations. Fels Naptha soap but homemade lye soap even better to wash oil off. Also, kaopectate applied with cotton ball like calamine lotion good to dry up blisters. Yes, I know Fels-Naptha soap will dry up poison ivy. Just wet the soap and rub on the break out and let it dry. Do several times a day and soon it will be gone. YOU KNOW WHAT WORKS REALLY FAST AND DON’T COST MUCH IS BAKING SODA. MIX WATER AND BAKING SODA AND JUST PUT IN ON WHERE IT IS AND NEXT DAY ALL DRIED UP AND GONE. mY jERRY GETS INTO IT EVERY TIME HE IS DOING SOMETHING OUTSIDE AND THIS IE THE WAY WE DO IT TO DRY IT UP. TRY IT, IT WORK WELL. SORRY ABOUT CAPS BUT I CAN SEE THEM BETTER. After appropriately cleaning the area in one of the ways you mentioned it will continue to itch. If body part can be put under running water, do this and make it as hot as you can stand. It will make it itch like crazy but it draws all the histamines to the surface and they immediately dissipate. You will have about four hours of relief. All natural and this can be used as often as necessary. I believe the hot water also helps dry out the rash. If I get spots on my torso I use some very hot water in a cup and hold it against the spot. This works for bug bites as well. Best way to treat poison-ivy-is to wash the affected area thoroughly using tea tree oil soap and warm water and then pat dry with a clean towel. i find that sage grass, is good, break off at ground lever, green and brown stems i use the 6/8 inches from the ground stems.. cover grass with 3 times the amount of water,, bring to a boil, cut heat to simmer for 3/4 minutes.. water should be pale yellow.. just rinse the affected areas several times a day.. also have used wild lettuce sap on blisters.. drys them up.. I am allergic to poison ivy and poison oak and I have it all around my property. I have tried lots of things since I was very young. Last year i tried rubbing Clorox everywhere I had come in contact with the plant. My arms and my legs, then I rinsed it off right away. No more problems with either plant! Thanks for this timely post! I started using lavender essential oil on my poison ivy and then bought some natural salve made with jewelweed. I’ve also taken epsom baths with baking soda added. All of these things seem to be helping. When I was teaching, our playground was bordered by a forest which contained stinging nettles. Kids often came in with itching and stinging. I kept a tube of toothpaste (it happened to be a natural-type) in my desk and applied it to the spot. It stopped the itching every time. Regular toothpaste worked too. When I was hiking in England I got “stung” by a nettle plant and someone told me to look for some Dock that usually grows nearby, cut a leaf and rub it on the itchy spot. I couldn’t find any Dock, unfortunately, but I’ve always wondered if it would have worked. I get sumac every year because we live in a boggy area, but I have heard that it’s pretty much the same rash as poison ivy. I never realize I have it until it’s too late. Once the rash is full blown, a super hot shower relieves the intense itching, and I bathe with grampa’s pine tar soap, then I either put on aloe vera gel or make a paste with food grade diatomaceous earth and put it on the rash and let it dry. I usually do this at bedtime since I tend to look like an aborigine from Australia with half my body painted in white. But diatomaceous earth has a wonderful cooling and drying effect. After the blisters are dried, I use tea tree oil. Thanks for posting this poison ivy remedies information. It’s very timely for me, as I think I got some poison ivy on me the other day. It’s starting to itch now. I will try some of these remedies. Years ago, I had a really horrible experience with poison ivy, and there was an old timer from the mountains doing some work on the apartment building we lived in, well, when he saw how miserable I was he said, “Little lady, I can tell you how to clear that mess up, if you’ll do just what I tell you”. Of course I said I would, if the request were reasonable! He just smiled, and said,”Well, take a banana that’s not ripe, still kinda green, peel it, and rub the inside of the skin on that mess, and it’ll soon be cleared up! I did, and it was! Plantain vinegar works well for poison ivy and any other skin rashes, bug bites, etc. Plantain is a common weed and most people will have it growing in their yard – steep a few leaves in some apple cider vinegar for a few weeks then strain the leaves out. You can also make a tea with the leaves and apply that if you haven’t got some of the vinegar made up! Fels Naptha works like nothing else I have ever tried. Just rub the dry laundry soap bar over the affected area, reapplying a few times a day. The poison ivy is gone in a day or two with no blistering and with nearly no itching. A miracle for someone who used to have severe reactions to poison ivy and had to get shots for relief and healing! When my rash stopped oozing, I applied Vitamin E oil and coconut oil. The itching stopped and started healing extremely fast. Poison Ivy Soap (website) http://www.poisonivysoap.com) It works for us the ingredients saponified animal oils, Jewelweed (this can be found growing along side of poison ivy) and spring water. Jewelweed can be rubbed on site exposed to the poison ivy. PS: poison ivy can be in the mulch you use. Fels Naptha! 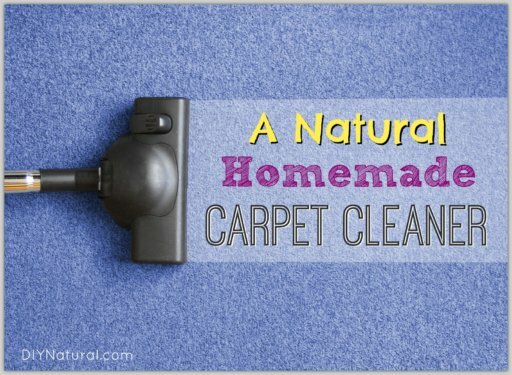 I use it in my homemade laundry powder also to remove the oils from the wash! I like Fels Naptha Soap and a bleach bath. Our family has used Fels Naptha soap for years. If used soon after exposure it really works! I use Fels Naptha soap all the time. Works well. My grandmother swore by Fels Naptha, Lou. Thanks for the reminder! When I first see poison ivy I wash with dish detergent, swab with alcohol and then apply Liquid Bandaid to the inflamed areas. If you have poison ivy, don;t hesitate to do this as soon as the rash and itching begins. Works great! If I notice I have been exposed while working outdoors, I use Jewel Weed immediately. This is way to remove the oil before it has a chance to set into the skin. Then shower with dish detergent. Dry off and purge exposed areas with alcohol. Then a final rinse with flowing water.